- None of the geologic faults in the area could have helped the river carve the canyon because they run perpendicular to the river. - Rivers don’t flow uphill, which the Colorado would have had to do to, flowing through the uphill topography with the highest rim of the canyon at 4,000 feet elevation above where the river flows into the canyon. 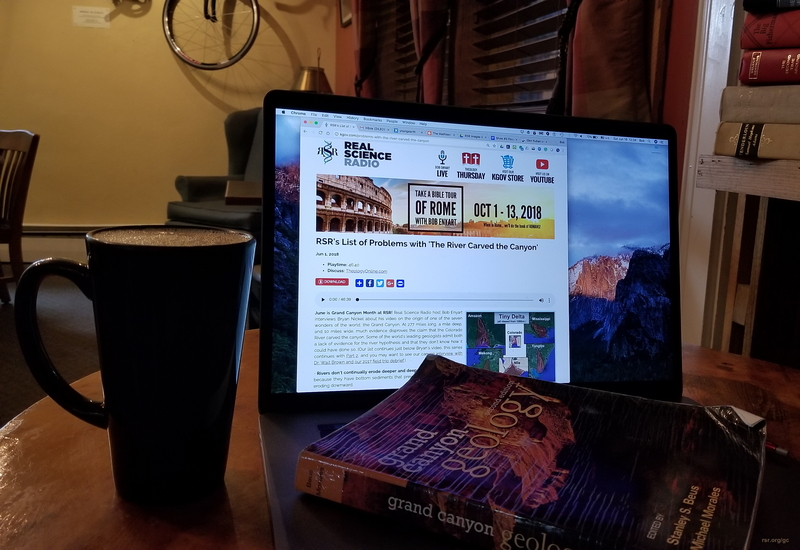 The river proponents claim two actions were coordinated for millions of years, that at approximately the same rate that the Colorado Plateau was uplifted, the river eroded downward. As an analogy, consider the Faint Young Sun problem, whereby the Earth's atmosphere changed over hundreds of millions of years to trap less heat as the Sun evolved to today's stability and temperature. The river eroding downward at the same rate as the plateau uplifted is another of the countless "just so" stories that make up the uniformitarian belief system. - Rivers don't ignore all their paths of least resistance which the Colorado would have had to do for millions of years if it carved the canyon. - Standard texts acknowledge lack of direct evidence: In the section titled, "The Evidence" in the chapter on the "History of the Grand Canyon and of the Colorado River", the 2003 Oxford University Press text edited by Beus and Morales states, "many people are taken aback by the lack of hard data pertaining to the history of the Colorado River [and its carving of the Canyon]. 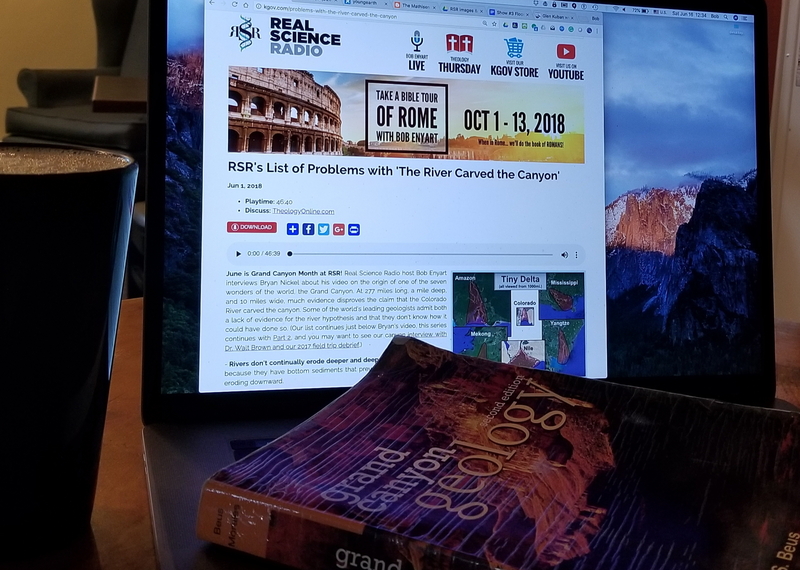 It is true that we do not have much direct evidence..." This is why for searches for: origin of the grand canyon, Walt Brown's explanation is the #1 Google ranked result out of 25 million relevant pages! 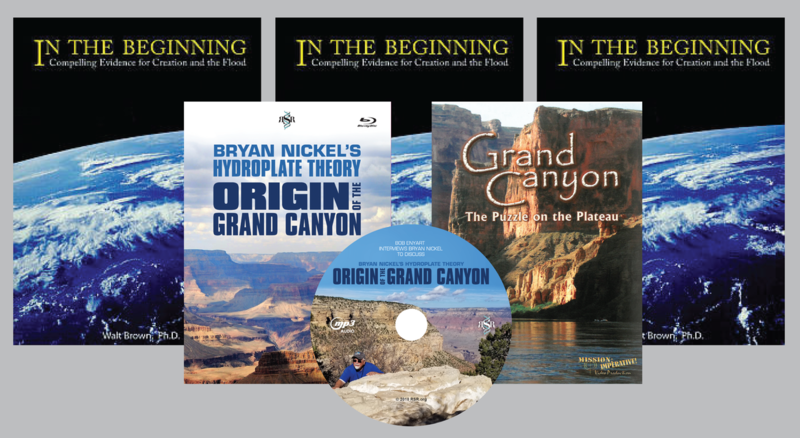 Because while people are "taken aback" by the missing evidence for the river hypothesis, there is a tremendous amount of evidence for Walt's theory for the origin of the grand canyon! - The massive side canyons cannot be explained by the river carving the canyon because rivers don't take dozens of abrupt right and left turns to flow out some miles and then back in on themselves. 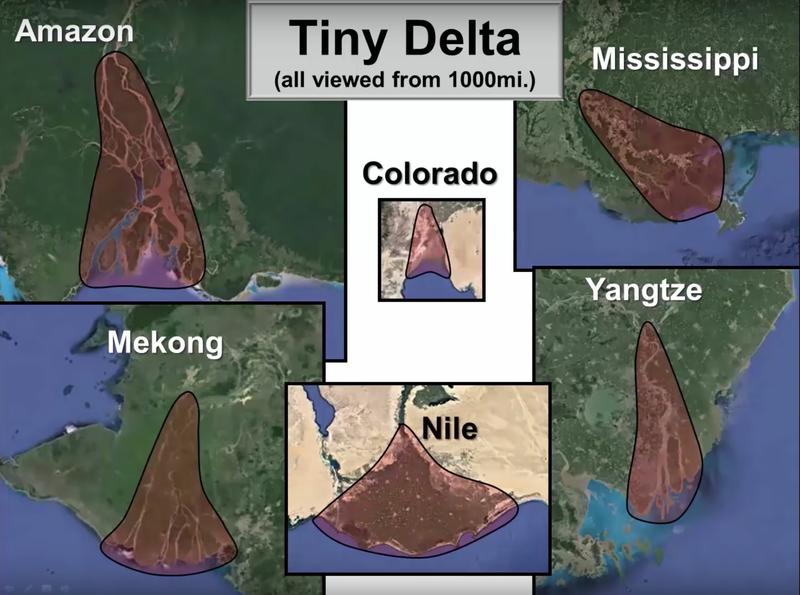 - The many side canyons cannot be explained by multiple rivers carving them because there is no evidence of dozens of ancient rivers and there are no sufficiently-sized drainage basins to feed the non-existing ancient rivers. - The side canyons cannot be explained by rainfall erosion which is the only option left in a river-carved-the-canyon model. The relatively minimal rainwater provided by the canyon's arid climate could not perform the needed massive erosion and sediment transport. Arizona is the fourth driest of the 50 U.S. states. Further, the claim that the massive side canyons were carved by rainwater contradicts the condition in the scores of layers of the Grand Canyon showing flat gaps, i.e., the amazingly parallel boundaries, called paraconformities, with characteristically little to no evidence of rain erosion. The many ways to disprove the uniformitarians is that they want to have it both ways: a lot of rain erosion for the side canyons and virtually no rain erosion throughout the far greater extent of the strata itself. - Marble Canyon's dozen barbed side canyons can't be explained by the Colorado River. As part of Grand Canyon National Park, Marble Canyon leads directly into the main canyon. As an analogy, consider that the Mississippi River's tributaries flow, as expected, from north to south, consistent with the Mississippi and the overall system's drainage basin. In Marble Canyon, a river explanation cannot account for its series of backward side canyons that allegedly would have been formed by tributaries flowing uphill against the topography of the Colorado River’s southwestward drainage basin. - The massive sheet erosion of the great denudation off 10,000 square miles can't be explained by a river. From above what is today the top of the Grand Canyon, like when you’re standing on its north and south rims, 1000-feet of sedimentary rock had to first be excavated from a 10,000 square-mile area. Geologists call this excavation the great denudation, removing the strata that connected and extended far beyond Echo and Vermillion Cliffs. However, that had to happen before the much smaller Grand Canyon could even get started (and any canyon theory must as a prerequisite explain the denudation). Yet of course, a river cannot perform sheet erosion of thousand-foot-thick sediments over a wide and vast region of 10,000 square miles. All observations indicate that the river didn’t carve the canyon but the river is the result of the canyon. The river didn’t cause the canyon. The canyon caused the river. The constant river gradient strongly suggests a rapid uplift event created the gorge, rather than the river incision as previously believed. Trend: Closer look shows major canyons not carved by rivers.